Clear this evening then becoming cloudy after midnight. Low near 55F. Winds SSE at 5 to 10 mph..
Clear this evening then becoming cloudy after midnight. Low near 55F. Winds SSE at 5 to 10 mph. 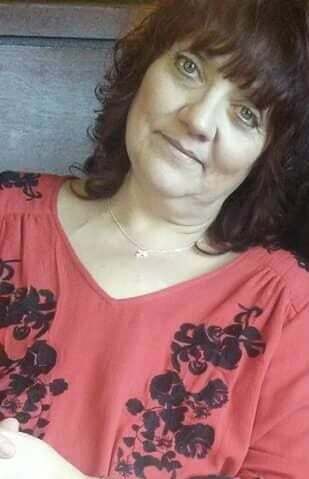 HERRIN — Rhonda Jo Triplett lost her battle to breast cancer Feb. 8, 2019. She passed away peacefully, surrounded by her loved ones in Herrin Hospital. Born to Paula Jo (Dunning) and Garry Curtright on Oct. 4, 1969, she was raised in Herrin, by Paula and stepfather, Danny Severs. Rhonda was a joyous, loving person who enjoyed playing bingo, watching tearjerkers, and spending time with her grandchildren. She is survived by mother, Paula, and father, Garry; three brothers David (Lorean) Severs, Nicholas and Lance Curtright; sister, Robin (Jim) Greeney; six children, twins, Jacob and Kaleb Triplett, Kaleigh Ramsey, Zachary Morris, Jaycee Morris, and Jeremy Morris; three granddaughters, Kennady Ramsey, twins, Sydney and Journey Pyles, and grandson, Wyatt Wells; as well as many beloved extended family and friends. She is preceded in death by stepfather, Danny Severs; sister, Tara Skelton, and niece, Brittany Curtright. Services will be at noon Wednesday, Feb. 13, in Johnson-Hughes Funeral Home in Herrin. Visitation will be from 10 a.m. to noon Wednesday at the funeral home. In lieu of flowers, donations can be made for funeral expenses to Johnson- Hughes Funeral Home.